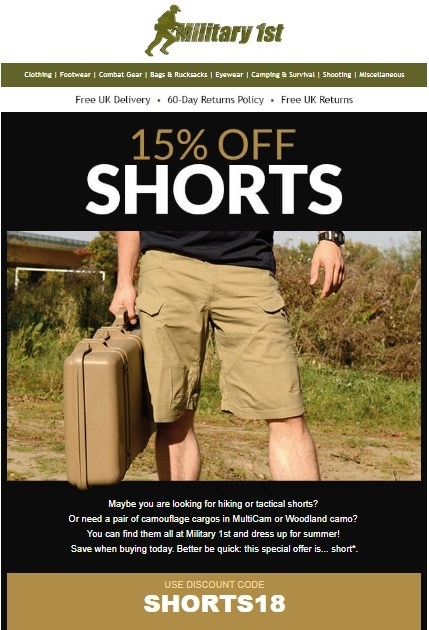 Daniel Esparragoza Enter the promo code SHORTS18 during the checkout process to receive this discount. There may be some exclusions that apply to this deal. Coupon expires August 7, 2018.